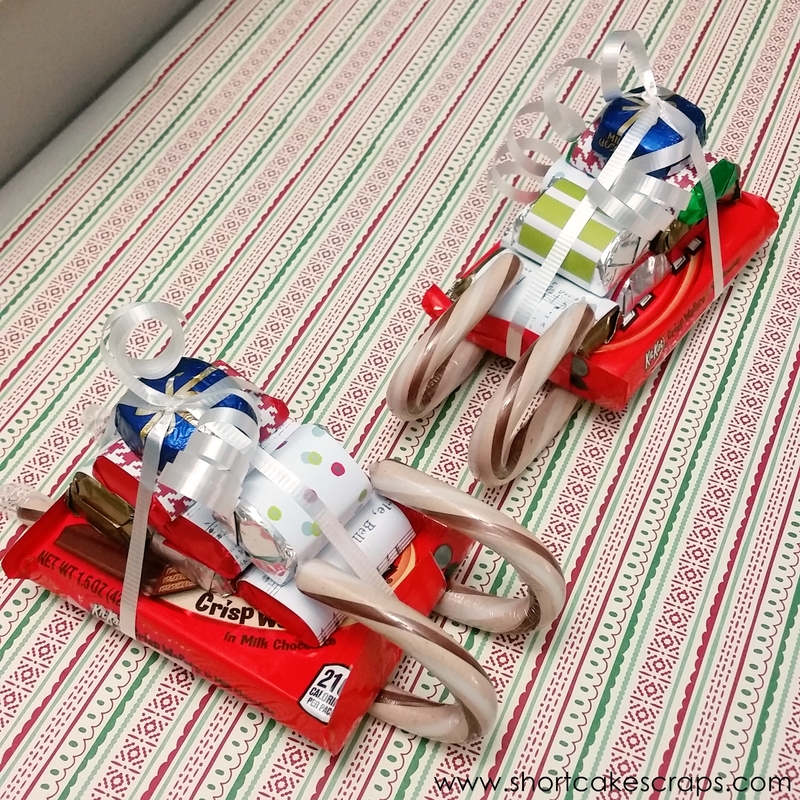 I saw this video on how to build little sleighs using candy canes and mini chocolate bars, and decided to try making some with our daughter. It’s a really cute way to spread some holiday cheer to friends, teachers, and neighbors – and they’re simple to assemble. She provides a helpful video on her website but here are some things that we did differently (plus a couple of things I learned along the way).